Three men connected to the IPTV operation ATN have been sentenced to prison and ordered to pay damages of $24 million. The company, which generated millions in profits and served over 70,000 customers at its height, has since gone bankrupt. The case was filed by the Qatari company beIN Sports, which is battling unauthorized broadcasts on several fronts. A decade ago online piracy was mostly a habit of downloaders. While online streaming did exist, watching pirate broadcasts live over the Internet was a rather cumbersome niche activity. Nowadays, that’s no longer the case. Live streaming pirate broadcasts, especially of sports content, is more popular than ever. And with dedicated set-top boxes, it’s pretty easy too. This has triggered a new wave of enforcement actions, one of which came to its conclusion in Sweden a few days ago. 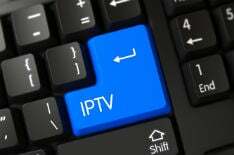 In a landmark ruling, the Stockholm Patent and Market court found three operators of the IPTV service Advanced TV Network (ATN) guilty of copyright infringement and misuse of decoding information. ATN’s owner Hamid al-Hamid, was sentenced to two and a half years in prison. The owner’s son and another accomplice both received one-year prison sentences. In addition, they were ordered to pay over 209 million Swedish kroner ($24m) in damages to rightsholders, Reuters reports. The case was filed by the Qatari company beIN Sports and the Albanian TV group Digitalb, who accused ATN of rebroadcasting its channels without permission. With help from the local anti-piracy outfit Nordic Content Protection, it filed a complaint against the IPTV operator two years ago. This lead to a police raid at ATN’s office in Malmo office in 2016, where roughly 20 police cars appeared at the premises. Three people were arrested and servers were seized, which caused the IPTV channels of tens of thousands of customers to go dark. While the verdict makes it clear that ATN broke the law, the company wasn’t operating as a typical pirate site. In fact, up until the raid it had been a rather successful business. Founded in 2008, ATN was a fast-growing business which had 25 employees and over 70,000 paying customers at its height. The company’s ATN box listed more than a thousand channels which allowed customers to view foreign content without satellite dishes. It was targeted at Arabian customers in Sweden, but also attracted people from abroad. ATN was properly incorporated, paid taxes, and filed annual reports. This revealed that the company generated nearly 60 million Swedish kroner ($7m) in 2013, with a healthy profit margin. While business was booming, it quickly came to an end when the company was raided and dragged to court. ATN eventually had to close its doors for good and in September 2016 SVT reported that the IPTV service had gone bankrupt. Two years later the three were sentenced. “We are delighted that the Swedish courts have taken a strong stance against the industrial piracy perpetrated by ATN,” Anders Braf, CEO of Nordic Content Protection says, commenting on the outcome. This is shared by Cameron Andrews, Senior Legal Counsel at beIN, who described the verdict as a significant victory in the fight against illegal TV pirates. “TV pirates like ATN package hundreds, and often thousands of pirated television channels from around the world, and then make big money by selling subscriptions,” Andrews says. While this is a clear victory for the copyright holders, the case is not over yet. At least two of the defendants, including ATN owner Hamid al-Hamid, intend to file an appeal. Defense lawyer Jonas Nilsson previously stated that his client denied the criminal charges. In addition, a family member of ATN’s owner said that most of the channels were legally broadcasted. Meanwhile, the ATN brand is not gone. While the Swedish company is bankrupt, the foreign-operated ATN Networks is around, listing Hamid al-Hamid as its CEO. There’s also still an ATN shop in Malmo. A copy of the court order is available here (Swedish pdf).